Accurately modeling how the ocean absorbs, moves, and releases heat is among the greatest challenges for climate change modeling, and in particular understanding and forecasting the onset of El Niño Southern Oscillations (ENSOs). 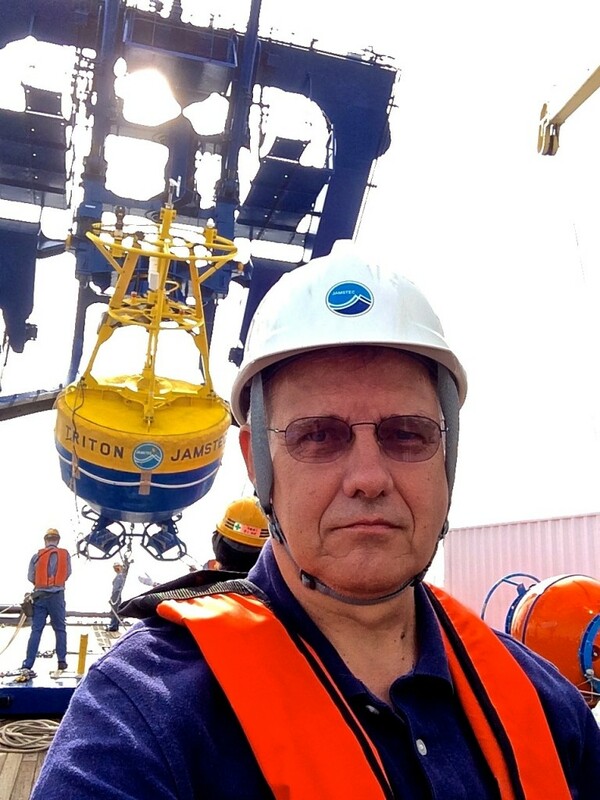 Work in this area focused first on understanding the largest scale ocean phenomena at play, such as major currents. But recent research suggests that smaller scale turbulence, which is much harder to study and quantify, may play a critical and effectively overlooked role. In July, Schmidt Ocean Institute is supporting an expedition to the central equatorial Pacific that will give researchers their first view of this smaller scale turbulence in the region. The science team, led by Kelvin Richards from the University of Hawaii at Manoa, will be gathering data that—combined with data collected elsewhere in the Pacific—will allow them to more clearly define the processes involved. If the research continues to suggest that existing climate models have been missing important effects, then this work could contribute to overall improvements in the models and their ability to forecast the size and timing of ENSO events. In simplest terms, Earth’s climate is governed by how heat accumulates and moves around the atmosphere. The ocean is an important player in this overall process because it covers the majority of the planet and absorbs and releases massive quantities of heat. One of the most important aspects of that cycling is how water mixes vertically—in particular where surface waters warmed by the sun mix with lower layers. This effectively transfers heat deeper into the ocean with significant effects on the atmosphere above. 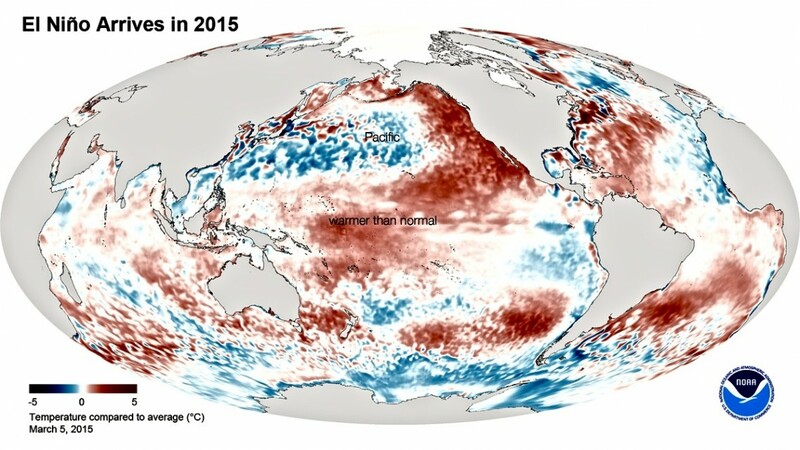 The movement of ocean heat is especially important in understanding ENSOs, which spawn devastating weather shifts including flooding in relatively dry regions of the western U.S., and droughts and fires in typically wetter regions across the Pacific. Associated shifts in nutrient availability can also have devastating effects on certain fisheries and other ocean life. El Niños are born when prevailing Pacific trade winds weaken, along with associated currents, which causes warmer sea surface temperatures in certain regions. That’s because those trade winds normally blow the warmest water to the Western Pacific, allowing nutrient-rich, cooler waters to rise up, or upwell, in the Eastern Pacific. Rain is associated with that warmer water, so when the trade winds die the heavier rainfall moves to the central Pacific. Naturally, as researchers have worked to understand climate shifts and ENSOs, they have begun with the largest, most pronounced components, such as changes to the large-scale winds and currents. The Richards team is focused on how small-scall turbulence can affect those changes. Working first in the western equatorial Pacific they found that a key factor in the production of turbulence in the ocean, and associated mixing, is what are known as small vertical scale flow features (SVSs), which have a vertical scale in the 10-meter range. Because of their small size, SVSs are difficult to study, but advancing oceanographic tools and computing power make the job more tenable. Computing power will have to expand much further before these small structures could be incorporated in global climate models. But more observations and regional computer model studies should help researchers figure out how to incorporate the impact of SVSs into the models used in climate research and ENSO forecasts. The Falkor expedition will allow the team to study SVSs in the central Pacific for the first time. “We are seeing that the equatorial region is a special place for the production of these small velocity structures,” says Kelvin, “That’s not to say they’re not important elsewhere, but conditions at the equator are such that they’re much more prevalent. Two key phenomena create SVSs. The first are called inertia gravity waves, which are generated by the wind and propagate down, often leading to turbulent mixing far from where they initially form. The second relates to instabilities of the major currents. The team’s previous work suggests that both phenomena may be playing significant roles. The researchers will use two key instruments to gather data about the SVS activity and associated turbulence. The first is a high frequency acoustic Doppler current profiler (ADCP) attached to Falkor’s CTD rosette and lowered down to about 500 meters. The ADCP has enough resolution to measure the flow associated with the SVSs. The second is called a microstructure profiler and measures minute temperature and velocity fluctuations to map the finer scale turbulence. The location of measurements was chosen deliberately to coincide with moored oceanographic data buoys that are used to monitor the state of the ocean and aid in ENSO forecasts. Basic data from these buoys, such as sea surface temperatures and large-scale currents, will give essential context to the data collected on the smaller-scale turbulence. 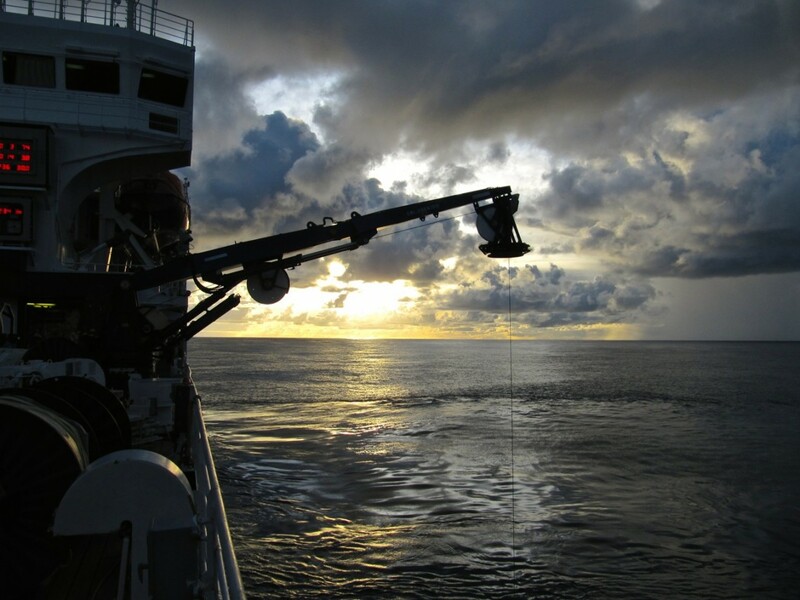 The expedition will allow the team to assess the level of activity of the SVSs in the central equatorial Pacific, estimate whether they are a significant cause of vertical mixing there, and if so establish their relative importance. Such improvements to understanding of ocean mixing may well lead to a better understanding of ENSO events and improve their prediction. Acoustic Doppler Current Profiler Data, in addition to being available at the above Rolling Deck to Repository link, is also available through the University of Hawaii. 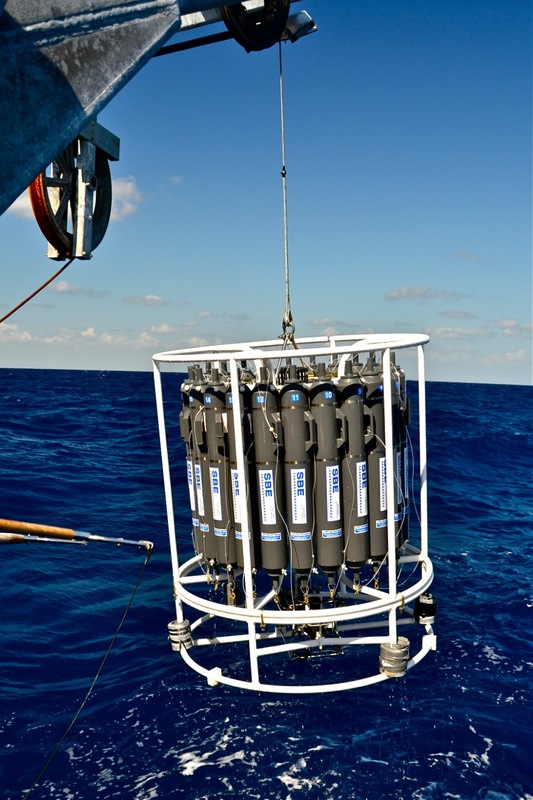 Additionally, CTD, LADCP, WH300 ADCP, Nutrient Data as well as the metadata file describing these datasets are available through the University of Hawaii. Swath Bathymetry, LADCP (Current Measurement), CTD (Fluorescence, Temperature, Salinity, Oxygen and Pressure), and Navigation data are also available through the Marine Geoscience Data System.